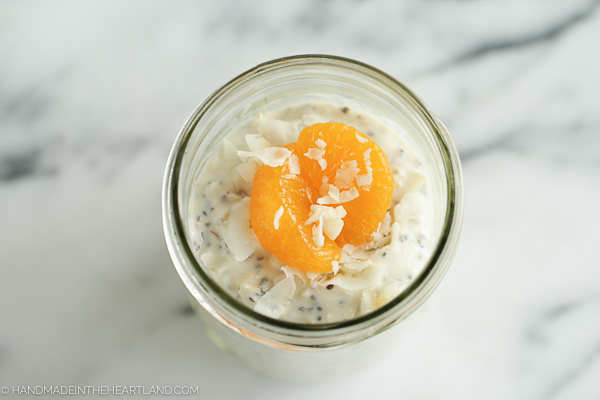 I love anything flavored with citrus and this orange coconut overnight oats recipe is the perfect bright and happy flavorful breakfast recipe. I’m completely in love with how quick it is to make this breakfast recipe one night and then have a healthy and filling breakfast for a few days. I’m not a huge fan of eating shredded unsweetened coconut flakes by themselves but I love them in this recipe. They aren’t quite as hard because they have been sitting in the yogurt mixture and they infuse a coconut flavor into the oats. yum! 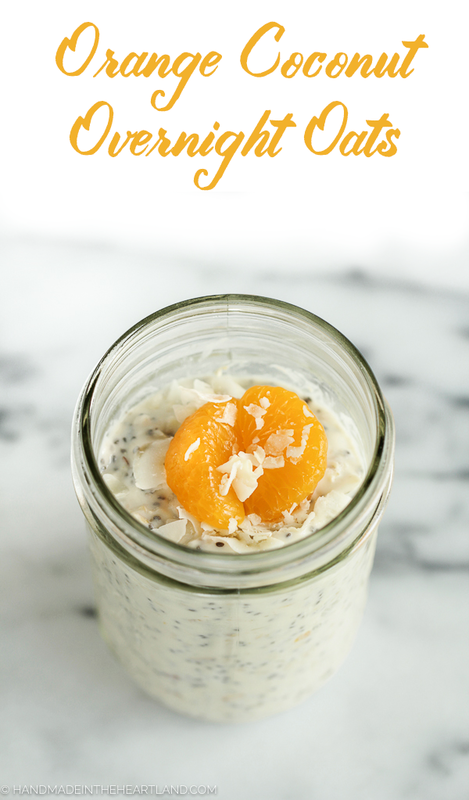 Sweet and Fresh this orange coconut flavor combination is such a bright happy morning breakfast! Protein packed, on the go, and easy to make ahead these overnight oats are the perfect breakfast! 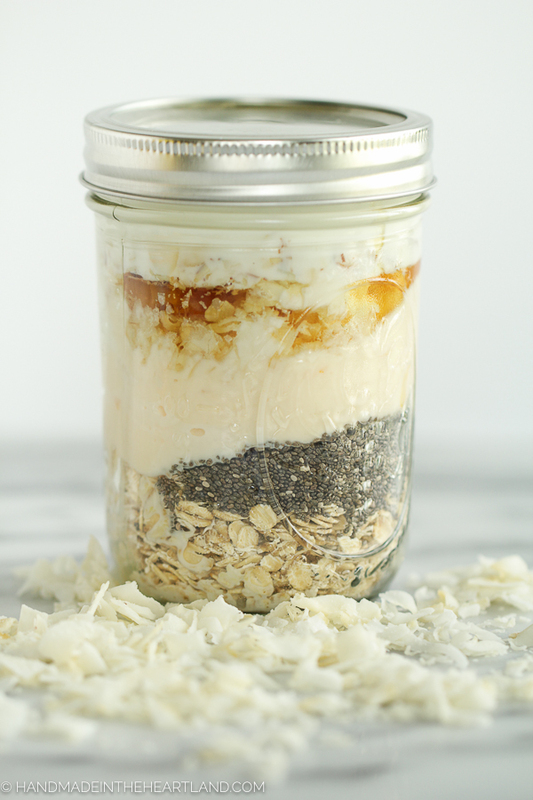 Overnight Oats are so easy to make and change up the combinations of flavors. I created a basic recipe that can be altered. Check out the basic overnight oats recipe HERE. 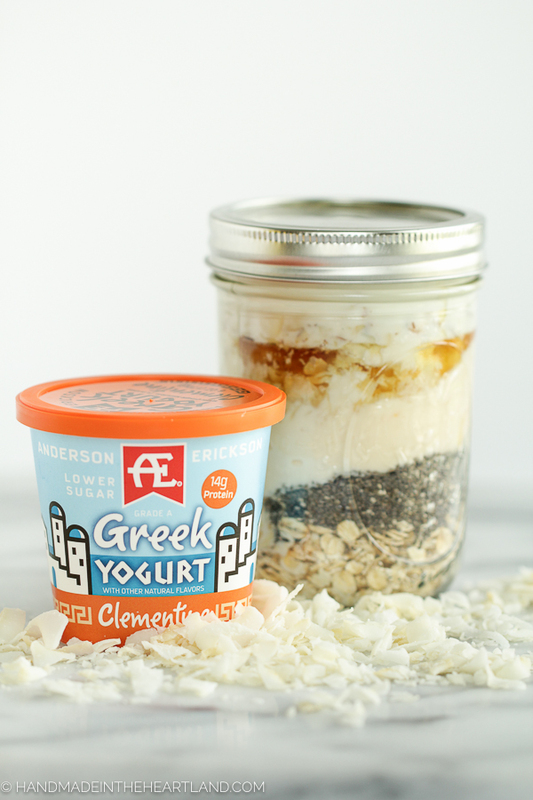 I really love using AE Greek Yogurt in my overnight oats, the varieties of flavors are delicious! Want to save this recipe for later? Pin the image below!